Ro Teimumu Kepa still has a lot to contribute to SODELPA, says party leader Sitiveni Rabuka. He was commenting after Ro Teimumu, the Leader of the Opposition, confirmed yesterday she would soon retire from politics. She said yesterday during SODELPA’s management board meeting her retirement was due to personal and professional reasons. But she did not elaborate. 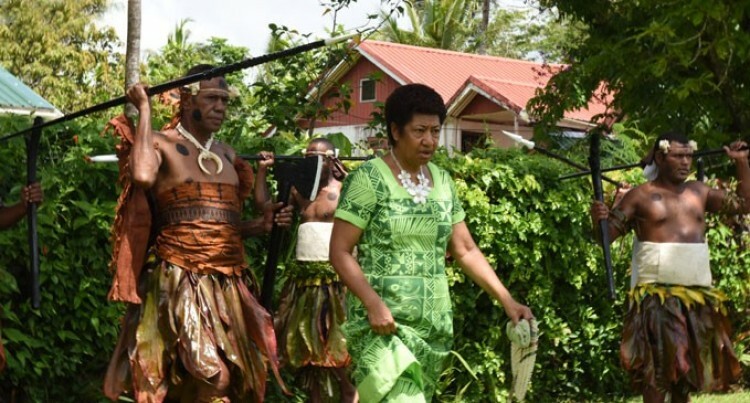 But Mr Rabuka said Ro Teimumu had not formally notified the management board of her retirement. He still believes she had a lot to contribute to the party. “I hope she does not retire and I am sure her people would want her to be out there in a national leadership role,” he said. The board met yesterday to discuss the party strategies and preparation for the 2018 General Elections. The closed meeting was attended by senior party officials and prominent SODELPA members from all their constituencies’ nation-wide at the Imanueli Methodist Church hall in Nawanawa, Nadera, Nasinu. He said most of the issues discussed were about their preparation towards the upcoming general elections while looking back at what happened in 2014. “We have put forward suggestions which the board will have to put forward to the various working committees where they will come up with concrete recommendations to tackle those issues on what happened and why did it turn out the way it did,” he said. Mr Rabuka said this would formulate the strategy for their campaign in the 2018 general elections. “We have a lot of ideas for our strategy but we have not cleared with the management board. The idea of forming a coalition party was part of the meeting’s agenda which was thoroughly discussed,” he said.